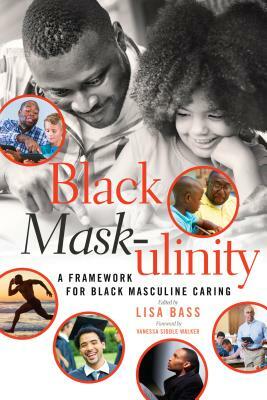 Black Mask-ulinity: A Framework for Black Masculine Caring is a collection of research, narratives, essays, and conceptual works to lay the foundation for an important emerging theoretical framework: Black Masculine Caring (BMC). This framework facilitates an understanding of the teaching and leading styles of Black males, and seeks to improve the educational experiences of Black male students. This book is significant in that it builds upon feminist ethic of caring frameworks and takes readers on a journey toward understanding the ethic of caring through a masculine lens. Authors explore the experiences of caring school leaders; Black male students in need of care; Black males as caring fathers; Black males as caring spiritual leaders; and Black males as caring institutional leaders. This book is appropriate for students at both the undergraduate and graduate levels in classes including the foundations of education, the sociology of education, ethics in educational leadership, teacher preparation, Black studies, and scholars seeking a deeper experience in their study of the ethics of caring. Lisa Bass is an assistant professor of education at North Carolina State University. Dr. Bass received her PhD in educational leadership and policy studies and comparative and international education from The Pennsylvania State University. Her work focuses on education reform, with an emphasis on the ethics of caring and equitable education for all students. Dr. Bass has published articles in education journals, and co-authored a book, Building Bridges from High Poverty Communities, to Schools, to Productive Citizenship: A Holistic Approach to Addressing Poverty through Exceptional Educational Leadership (Peter Lang, 2013).